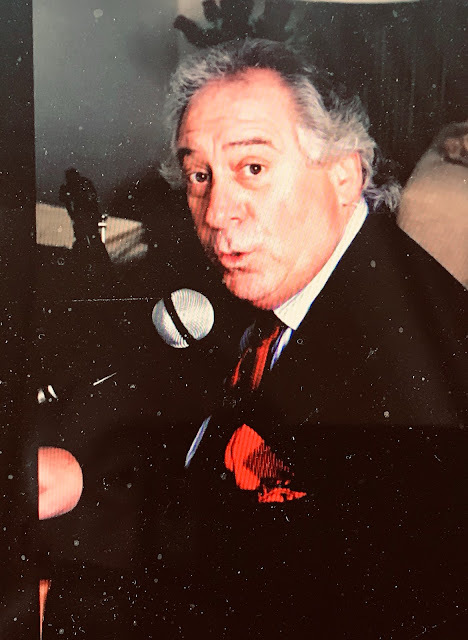 Today's guest Reviewer is "The Blues King", Tim Marchio. This is Tim's second guest review for the Music Man Blog, and I am sure you will enjoy it as much as his first. Tim is a long-time Blues fan, and he also plays Blues on his Guitar. 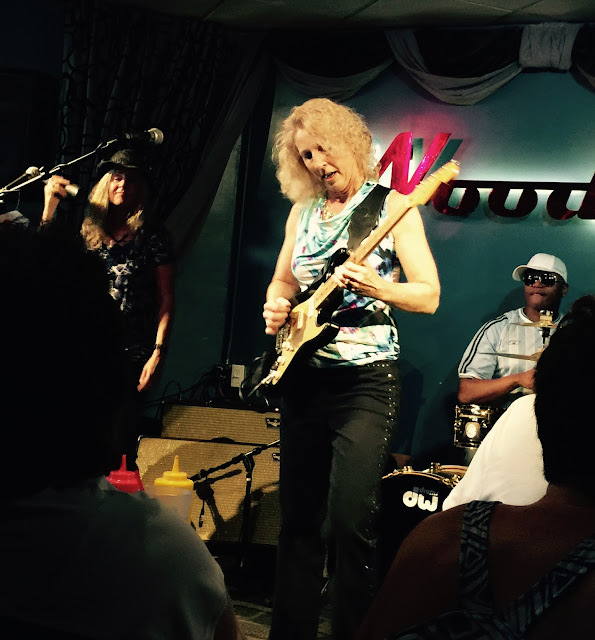 The Laurie Morvan Band, a five piece ensemble plays the Blues at Woody's in Palm Springs most Thursdays nights. I mean, really plays the Blues. I expected a good time as I truly enjoy the Blues, especially live. However, I was not prepared for what I heard. The band consists of Keyboardist Tom Salyers, Bassist Pat Morvan, Drummer Lonnie Jones and backup Vocals by Lisa Morvan. Laurie in particular, was great. Not good, but great. They started with a classic B. B. King tune, “The Thrill is Gone”. The guitar was tight and the band nailed it. I must admit, it was a bit out of the ordinary to hear a woman sing such a well-known B. B. song. But she did a good job, making you feel it. Then the night took off from there. Laurie is an outstanding guitarist. In an intimate club like Woody’s, she easily connected with the crowd. The band played original tunes mixed with classics from Albert King, Luther Allison and Stevie Ray Vaughan. Laurie was masterful, her singing got stronger throughout the night and her renditions worked marvelously. The band has accumulated several awards from the International Blues Challenge including, Best Self-Produced CD (2010) and top10 finalist in the Live Band Competition (2008). Other accolades include twice being named the House of Blues Radio Hour “Blues Breaker” artist of the week, a B.B. King’s Bluesville “Picks to Click”, and winning the Blues Festival Guides’ 2008 Blues Artist on the Rise Award. Now, about her guitar playing; in her opening song, she sounded like early Clapton channeling BB King. For the rest of the night, she jumped, jived, played fast and slow. She played most songs had more than one solo and it worked every time. I was amazed at her technical skills, but the Blues is all about the feel, the visceral effect of the playing is what will move the listener. In that, she sold it. She lives the Blues, and her dedication was obvious. I saw Joe Bonamassa last summer in a small arena and I enjoyed Laurie's show much more. Laurie can play fast, real fast, but fast doesn’t necessarily always mean “good”. She is both. If I could play guitar like that for one night with that band, I would not stop until dawn. The Laurie Morvan Band sells CDs on their website (www.LaurieMorvan.com). You should visit her site and purchase at least one. I know I will. There is a live "YouTube" of tonight's performance for your listening and viewing enjoyment.